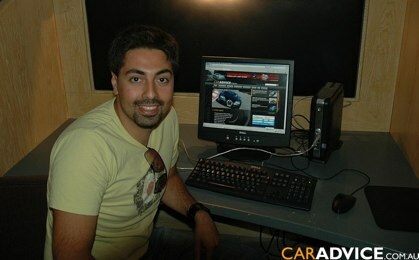 Alborz Fallah is the founder of , one of the top blogs in all of Australia in any category and competes right along with some of the biggest media companies in the world for the car enthusiast market in the land down under. 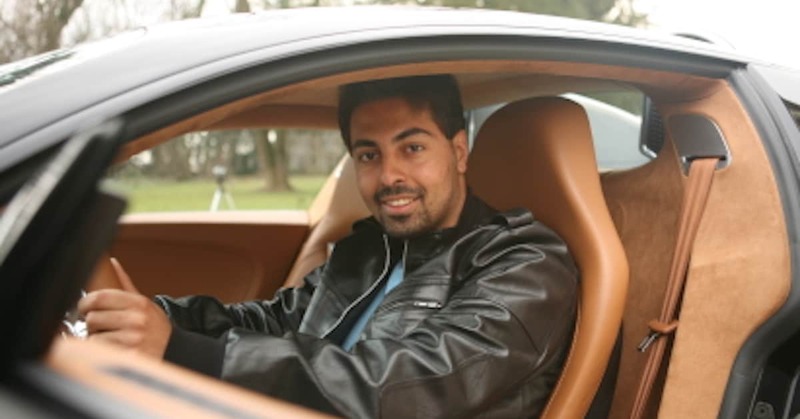 His blog gets phenomenal traffic, brings in millions of dollars in advertising revenue each year and Alborz has traveled all over the world to drive some of the most prestigious sports cars ever created. His blog became a true business and Alborz has to be one of the luckiest people in the world, living out a passion every single day and earning big money along the way. What’s really great about this story though, is that Alborz started out just like you and me. He wasn’t sure what topic to write about, so he created three blogs at once to see which one would stick. The car blog got the traffic so he dropped the other two and slowly built up his site off the back of his own content. I convinced Alborz to test AdSense on his blog after much pestering and he immediately made around $10 per day. Over the next few months his income grew, AdSense reached about $100 a day and he started branching out and testing other forms of advertising. Did I mention during this entire time he was still working a full time job? It wasn’t until Alborz sold some of his blog to investors and his blog became a real serious business that he finally left his job to focus 100% on growing his project. Since then Alborz and CarAdvice have gone from strength to strength. He’s knocked back a million dollar buy-out (actually I think he knocked back a couple of offers), he’s had more people join his team contributing articles and he recently told me about a deal just made with one of the major online media companies to supply car related content to their network in Australia. There’s also new branches of the blog opening up in other countries. It’s truly become a massive enterprise, which all started as an after-hours experiment to see if he could build a popular blog. The interview is very practical, and if you pay close attention you will learn a lot about the specific techniques Alborz implemented early on to grow his traffic. You will also hear the story of how he brought on investors to back his blog and help grow it to the next level. You can start a blog and choose top level categories in very competitive markets, if you niche it down based on geographical location. In other words, you can start a car blog and target just your country to differentiate it. There’s big bucks to be made as the leading blog in just one country for mainstream subjects. When you don’t know what topic to blog about, pick what you think might work and just put something out there and see what happens. You can build a significant blog based only on part time labor, if you are dedicated and get things done during the time you have available to work on the project. Sometimes, being controversial can do wonderful things for your traffic. Strong opinions will always stick out and grab attention. Search engine traffic is very powerful if you just do a few things right, like blog post titles in Alborz’s case. Think BIG with your blog, it doesn’t have to be just a small publication – consider taking things to the next level with the help of financial investors. This is one of the most inspiring blog case studies I know of. I don’t expect everyone to do as well as Alborz, but it’s VERY realistic for you to enjoy even just 10% of Alborz’s success with your blog and make a good living as a result, if you can just commit yourself to the goal for long enough to give yourself a chance of success. I hope you enjoy the interview as much as I did creating it. 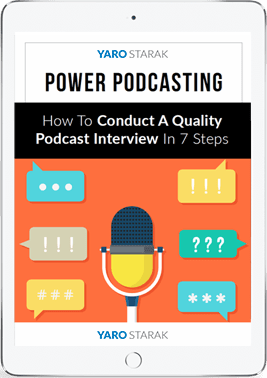 If you like this style of interview there’s another 10+ interviews with professional bloggers inside Blog Mastermind, which you can download and listen to any time after you join the program. That’s it from me. I’ll speak to you again soon. What a remarkable interview. Job well done Yaro. I’m looking forward to your mastermind opening. thank you Yaro for sharing us this success story. even i don’t take your class, i am a big lurker of this site. and i am ready to apply your tips on my blog. thank you thank you, u’re the best. your student have proven it! Thank you very, very much for making a transcript available. As a non-native English speaker, I usually have a hard time trying to understand what native speakers say in podcasts and videos. So, written material is what I always look for. I’m about 18 minutes through, and what’s really struck me so far about Al’s success is that he focussed on writing in his in own voice and writing about stuff that he was really interested in. Sounds like a neat recipe for success! I am looking forward to listening to the podcast later today. My Beijing blog is just starting to take off the past week and its getting some mentions in the media. You can compete in competitive niches if you provide a slightly different angle. Social media has also been great to promote the blog. I wasn’t expecting to see my face on the front page of Yaro’s blog today…! A big thanks to Yaro for pushing me in the right direction when I needed it the most. Thank you Yaro, great podcast, very informative. I personally didn’t have much success until I started using Glyphius. What an inspiring post. I hope to one day achieve even a fraction of that kind of success. Listening to his story and yours makes blogging for a living seem like a very possible and doable concept. I’m not quite clear on how he built his traffic initially, but I did get some good ideas from the podcast. Every time I don’t feel like posting or working on my blog, I think of people like Alborz Fallah. Still fighting with my blogs and looking for the right content but testimonies like these give me confidence that soon my blogs will see the light! Hey, I have a blog that makes $100 a day from Adsense… those millions must be right around the corner, hah! Thanks for the interview, Yaro (and Alborz). I have a roadtrip Saturday and have downloaded it to listen to then (more interesting than the two stations I can get driving across the state :P). Great to see there is an MP3 download. I have trouble viewing the podcasts and the vodcasts online; they usually stop after say 5 minutes. I have a 1.5 MBit ADSL link so I think there is a bottleneck some place up the line. Please provide downloads as an option for all future content. I enjoy listening and watching your material. A very impressive story. We ar still fighting with our blogs . It seem’s to be easier to manage a blog well in Australia or USA than in Germany. But we try try to improve our blog daily. What a great story, these are the types of stories that we need to hear to propell us forward to success, and remind us that anything is possible! Great interview, great tips, great passion. What struck me the most was Alborz’s dedication in the face of adversity (i.e. Google ban). I like the way he just kept going – that is the main thing I’ll be taking away from this interview. Thank you for the podcast with Alborz, very interesting and informative. Yaro, you too can do the same just to a different level, bring it up for listing in the stock exchange. GOOD LUCK !!! from Singapore’s fengshui expert. Wow Yaro what a great interview ! Thank’s for sharing it with us 🙂 I thought it was very inspiring and motivating reading what Al’s blog went through. Also thanks for providing it as a downloadable pdf file, as Karen noticed it is easier for non english native speakers to read it. I will definitely be listening to this…thanks for posting it, I will post my thoughts after I listen. Great Stuff. This is what inspires new bloggers like me to keep up their spirits. It’s great to see someone succeed in such a big way. Thanks and good luck to both of you. Great Interview. I loved it. Full of ideas and very motivating. Great success story! Really gets you motivated ! Excellent interview Yaro. You really are “the bloggers blogger” in case you haven’t heard. I’ve implemented several of the ideas from the interview already. Very informative podcast. I have to listen to it again. A remarkable and inspiring story and interview. There are so many sites out there about making money blogging that it is difficult to truly know if it is for real. From examples like this it all seems to be real after all. Yeah, this puts legs on the claims you hear, but here is the thing, you don’t have to be an A-list blogger to make money but you do have to start a blog. Thinking about doing, dosent pay well. I’ve found the secret is to take action, create momentum, then take a look at results and make changes. People who give advice, tend to give good advice, figuring I suppose, that you will mention it. If you think a blog is a joke, it probably is, find another. Wow, Yaro, that guy is truly inspiring. So much benefit from good hard work. wow, quite an inspiring and motivating article. I believe everyone is not that lucky, but at least everyone give it a try.. hereby i too would like to try to become the next Alborz Fallah ..
Wow… that is an amazing story and a true inspiration. It helps to read success stories as it motivates me to continue my passion to build a nice blog. A excellent interview. Thanks alot for sharing. Great article and very inspirational for newer bloggers trying to go “pro”. The power of the blogs in recent years is truly outstanding. I guess no one could ever imagine this in 1998 and that was only 10 years ago. I’m eager to see what we’ll have in 2018? 🙂 Congrats Alborz Fallah! I’m grateful for all I learned from you today. It was the avenue I was searching for during the past couple of years jousting with the internet. Thanks! I’m a senior and my niche is seniors. I’ll study your material carefully. If it’s any interest…I live in a small town in the mountains of Arizona. Will be sharing this with my readers. What a great interview! This interview really hits home for me and has given me tremendous inspiration. I currently run a car blog that I started about 4 months ago and have started to see a fair amount of growth in traffic. 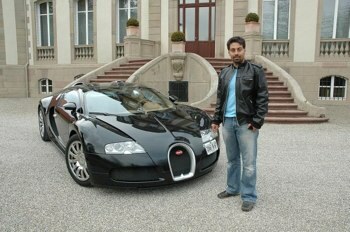 The site was started just because I am passionate about cars and enjoy writing about them. Al’s story is one that I hope to emulate and in the future be able to tell a similar story about myself. I’ve gotten a lot of great tips from this interview that I plan to implement immediately. Thanks for pdf transcript of the interview because as a person whose first language is not English, I find it hard to follow the spoken words. I have downloaded pdf and will read it carefully and hope to find some real juice from what I have read here in comments. Nice interview Yaro, I took some notes to do a review on my site. I love the tip about press releases, I recently implemented this on my site but have yet to post any. I was mostly thinking of doing this not just for my readers to keep up to the news but as a service for the business owners who want the press release added to the site. I now can see that it’s a great idea. I originally got the idea from my friend Kelly as she does this at her site. After 2 years blogging and listening to a few of your podcasts I decided to make changes. I started a new blog this time with a passion I have had for a long time and this is the one main focus of the blog. Thank you so much for having the transcript available (I can’t hear the podcast), I really appreciate that! I honestly didn’t know Adsense was this powerful. Of course I have seen big profiles like Joel Comm, etc, but I thought it was the timing that helped them. To start off mid 2006 and make over $250/day adsense definitely breaks the mental picture I had all through. What a great podcast you have. Very interesting interviews with new insights that are helpful for me to build my blog better. Thanks for sharing that blogging is really CAN free you financially! This was an extremely good listen. I learned a lot from this podcast, along with you blog profits blueprint which I also listened to earlier today. I just downloaded and listened to the your blueprint as well, some invaluable information there. Great interview Yaro! First a question, are you originally an Australian? Or US/Canadian Ex-pat. I never really noticed this till this interview, but you don’t really have an Australian accent at all hehe… I mean I’ve heard Darren speak, but his accent isn’t as strong as your friend Al. Anyways the biggest thing I felt every blogger should take away from this interview is never lose focus on putting out quality blog posts. Marketing is great and needed to push a blog out there into the general public and above other competitors, but first and foremost must be a great unique blog updated fairly frequently.. Ever since I moved to a Blog network I’ve be focusing 80% of my blogging time to social-media/network marketing and it has resulted in the highest gains ever for my blog. I’ve hit Digg.com’s front page 5 times, something I never did before, however as expected most my traffic is spike traffic, they come quick and go quick. Next month I’m going to focus 80% back to blog content, I suspect I’ll get a drop in traffic, but what I want to focus on now is return traffic which is more key to long-term blog success imho. I have to agree with you Lipton. Yaro does have abit of an aussie accent, but there is another twang in there somewhere me thinks. Great stuff, will be coming back for more. Keep up the good job! Fantastic interview!!! I played the mp3 interview did some searches on Google to see if the site could have had some serious traffic coming to it and it all checked out. Great work. Hope we can network at some stage. A challenging interview,I have sworn to start taking my own share of the online cake and this is an encouragement to my desire.thx for the prodcast Yaro. Very inspirational and motivational! Nearly rhymed that,lol! Thanks Yaro for providing us with this interview. Yaro, Fantastic interview…thanks for all your videos, interviews, advice and inspiration. I have to say, this was a very good interview. I liked hearing how he grew his site and the perks and offers he started getting. This is truly an amazing story and a testament to you as a teacher Yaro. Wow Yaro…great post. I was looking for some inspiration lately to get working a little harder and I have definitely found it here! To be honest, Yaro was inspired me a lot to make some good quality article that I think just spent my time a long day to write it. That’s really simple analogy since you share a good thing’s then you’ll get more than what you did. 81 comments, wow, you’ve started quite a conversation on prime time bloggers. Does anyone know how much he makes now? I wouldn’t have sold for a mil either with $30K a month. I can only imagine that he makes nearly 100K. Wow – without doubt the best interview you’ve done yet Yaro, and thanks for making a transcript available also. I’m convinced – I’m off to check out Blog Mastermind properly now. Just one question, can anyone suggest good sources to find press releases of breaking stories? No use for my main blog but for my hobby/personal blog I could see that developing along these lines if I focussed on it more. It’s a inspiring interview, I must say. Real life honest success stories really interesting to read always for me. Very impressive, every bloggers dream. Thanks for making this interview availble, I dont normally blog about other posts but this one needs to be mentioned. I thought I had made it when I hit $100 a day – Boy have I got a long way to go!! OMG! what a great inspirational and very tasteful interview. We can learn a LOT from these two guys. I´m just amazed by how Al grow his “baby” to become a well stablished company! Congrats! to start building a blog. thank you AL and YARO!! i can;t thank you enough yaro, you are the best. This is truly remarkable. It means that anyone can make it on the internet if they had the drive to succeed! Yaro, that guy is truly inspiring me. Wow! very interesting videos. Everything is possible for someone who know all the good tips and isn’t afraid to work hard! Thanks, Yaro. I love your videos and have been learning so much from your site. Thanks again for being such an innovative leader. Holy Crap Batman, the value that this blog has obtained is huge, it amazes me how quickly with a little determination great things can happen and your blog can take off. Your interveiw with Alborz was very inspiring. I picked up on some very good advise. You seem to have a true passion to help others succeed. Thanks again Yaro. Car stuff is not my cup of tea, although I do need a better car . . . in time, as I follow some more good advice. After doing as much site checking as I do, I believe as the two of you. Content, good content, more content in honest opinion and writing voice, and even more good content is what makes a site worth coming back to. “Writing about what I like to write”, “I really did love writing about”, having that passion and writing about what one truly finds interesting will always eventually bring in traffic on it’s own merit. Continuing to write about one’s passion will bring your heart and mind together in peace and the money will follow. Being a credible writer with one’s opinion is journalistic integrity and is sooo very important in blogging. Copy and paste doesn’t cut it with a reader. It’s obvious as hell and that is what many sites are doing unfortunately. This includes sites that copy and paste and give a link to the author. Writing an opinion about the author of the info gives a writer more credibility than the copy and paste effect. Changing a few words here and there doesn’t count either. At least do a full rewrite and include your “own opinion”. This has become an issue for me with blogs that are about how to write blogs. There’s a lot of them and then there’s the credible and helpful one’s,and even one’s that respond back to the commentaries that people take the time to write and read. I can’t say it enough. Thank you for the credible blog with integrity and commentary area. It’s always a pleasure to read, even a car stuff one. Passion + good mentor + hard work + some luck seem to be the success formula here. Great inspiring story. Wow. It’s Great. Can I be that Person? His Blog is totally success. However my age still 15 and I don’t know much about blogging. My first blog is very bad in earning. I hope I would gain more experience after reading your article. Thank you. Yaro. You’re the best. very inspiring story, i downloaded the interview sometime back but only just had a listen. a definite example of how you can be successful blogging.. This story is truly inspirational and one that everyone wanting to make money online should read. It’s such an amazing feeling when you do something for a living that you actually LOVE doing regardless of whether you get paid or not and reaching that tipping point when you become financially self-sustaining because of it. I hope everyone following their dreams will feel this emotion after working hard because it is life changing and cannot even be fully expressed in words. Great interview. I agree that the traditional publishers are lagging behind and now is a great time to capitilise on it. Getting your hands on really fresh content and doing a contentious review works well, just like Al says. Thanks for taking the time out to do the interview. I learned a lot from the interview. This really inspires me to keep trying on my blog. Thanks Yaro! I will always say you are a blessing to this generation and you will remain so. The info you released here are wonderful and helpful to all that will make proper use of it. The content, audio and the roadmap to become a blogger have giving me an insight and I will impliment them on my new blog that I am working on. I am looking forward for a day that you will visit my country Nigeria to teach us blogging and how to make money from it. Yaro is the master. Your student prove it. He has some pics with some really cool cars. Congrats on his great success. I am shocked that he stayed at his job for so long, even after making a good some of money. It must have been something he really loved. hey that blue one is my car (in my wish). where did you 2 guys found that fortune? I loved this. I have just started a blog for my moving company and I am putting up a lot of great content. I am hoping to really start making some money directly from the blog and I believe this information is great for that. Thanks keep it. This is really inspiring to me. He really hit it big. i love hearing true huge success stories from the internet. Makes it seem so possible…because it is. Very interesting. It just proves that anything can work if you are truly passionate about it. Kudos to Alborz for supplying great content and taking his blog to the next level. Thanks for sending me a link to this inspiring interview. It has helped me to see that anything is possible if you stay focused and do not give up. Thanks again. Wow! This is an amazing achievement. Blog naturally is just classified as an online diary, but nowadays blog has become so successful in promoting ideas, advertising and even making millions online through blog. Congratulations! Amazing and wonderful job! You deserve it! Not only did you provide specific examples but also much needed encouragement and a few good points on the ethos of blogging. I’m just getting my blog going, so it’s nice to know what it may one day grow into. Thank you for the interview. I get your newsletter and I am always pleasantly surprised with the things you come up with. I liked this posted and interview very much, thx again. Thanks Yaro..I also have downloaded this interview..I’ts really inspired.. I listened to this and was amazed at how similar Al’s situation is to my own. I have only been up six months and have not acheived anywhere near his success but my passion has been renewed. I love cars, but I focus on the older versions, the muscle cars, the hot rods, and the customs along with a Corvette or two. My business model is similar but different because we are not focusing on new models but rather the older classics. I love going out to shows and other people’s garages to record their cars for our readers. I also found that our own project cars are a big hit with readers. Thank you so much for this interview it has given me the strength and passion to try even harder over the next 12 months. It was very refreshing to hear Al’s comments about integrity and honesty of his reviews. Way to go! Sounds like a remarkable success story, can’t wait to read the transcript. Best of luck and happy new year 2009! It’s been the right interview everyone needs to know how blogging could revamp ones business. Thank you Yaro for sharing this fantastic success story with us. Truly amazing…and VERY INSPIRING…it’s EXACTLY what I needed to boost me on my project! This is a great interview and it is really inspiring to find bloggers earning big money. It just encourage fellow bloggers to work hard towards their dream. This success story is inspiring for fellow bloggers like us. It definitely let us know that blogging can make some serious money. It is really inspiring. What Alborz has achieved should be a burning example for all the bloggers. The podcast has lots of things to learn. Let me implement some of the tips I gathered from here and check how it goes for me. I love reading and listening to these stories. But what if one does not have the verbose and ability to write SO much about a topic? Suggestions? WOW! He make big $ that some of us can only dream of. I will listen to the interview and see what he really did to success. It was encouraging to hear that honesty, being genuine and passionate have this kind of value. I am on another forum where people are discussing making money on blogs, most there think passion should take a back door “monetizability”. My position has been from the start that passion should rule the day, in your life, dreams and goals, which is why I will write about drumming, inventing, fitness, environmental issues and solutions. Writing about something I don’t care about, would be like….working for someone else doing something I don’t want to do:-? Thank you Yaro for sharing this podcast. I want to congradulate you and also Alborz. I do beleive passion makes thing happen. I’ve just started 2 days ago writting an article every day. I like to write bilingual, just in case someone who read french comes along or is refered to my blog. I also asked for Adsense. Thank you for the great interview it is more that books that we have read that are fictional and not based on the real story. Definitely an inspiring post. So many bloggers are earning around $30k a month so it makes you think that you should be able to make at least a quarter of that, which at $7500 a month is still VERY good. Better than most full time, decent paying jobs. Usually I believe everything I read Yaro though, I don’t believe this site makes more then $30,000 or even $7500 a month as OP said. I do however like his clean looking theme. Then again I was super surprised to hear that Perez Hilton’s blog was worth a spot in the 25 most valuable blogs on the planet and could be worth $32 million. I will listen to the mp3 and re-comment if it changes my mind and “pessimistic” view on this. Okay, well I guess I am going to have to eat my words because, that was a great podcast. I thought Al was very sincere and knew what he was talking about. You can’t fake something like that. I change my mind to the “optimistic” view. And take back my words as I said I would. Very inspirational! It is stories like this that keeps you going! Thanks Yaro, I got ton of ideas from this podcast. Thanks for sharing the success story. I am a regular reader of your blog these days. I am on another forum where people are discussing making money on blogs, most there think passion should take a back door “monetizability”…..what’s your idea about this??? I’m quite impressed. In looking at your blog, can you tell me what theme you are using? I have a blog at that is using the Arras theme which looks like yours does. Your site has inspired me to do so much more with mine. I also wanted to know how were you creating this contact us page? Is this a plugin? Yaro, thank you for bringing this to us; really cool! One of the best interviews. Such an amazing story, from a personal blog, to a small media company. Just like Mashable orTechcrunch. Thanks Yaro! My true passion is sharing my vegan recipes for entertaining- a much smaller niche than cars, but this story has inspired me not to give up. Since I love what I do and think I do it well I am hoping quality content will eventually bring the traffic I need and am more motivated than ever to keep improving. Also trying to be more patient about it 🙂 I find your blog extremely helpful. Am a fan of your materials, great content always. This interview with Alborz proves that the sky is the limit! Thank you for showing us the way. It seems like your blog mastermind course is an asset to anyone want to take there blogging to the next level! I am extremely interested and I am considering becoming a student in the coming month so I can master another skillset for my blog. Interview of the year. this might be your first comment from Nigeria I don’t know. but one thing is sure you are being heared down here too. Am likely to be your first student from here too. I like all I’ve been reading about blogging from you and am bent to be interviewed someday like Alborz. keep your good works guys. I found out about you through incomediary.com.Signed up yesterday to this site. Great interview, quite funny though, as his site looks a bit like mine on the design side of things. The only thing that I’ll state is that no one can mimic his success. Every success story has it’s own unique ingredients. However, we can learn from each story we hear and as this story has shown, success breeds success, with you being the starting ingredient to that journey. Great interview with Al. What stood out was his integrity. He didn’t cave to advertisers who told him they want good reviews if they’re going to advertise. Way to go sticking to your guns! Kudos to Alborz. I have to admit I tried an automobile blog but I didn’t stick with it. I wish I had. THAT’S the key! Hi Yaro, Thank you and congratulations on the great interview – and the great success on your former pupil. Not only I leaned a great deal listening to this podcast, but also I was moved by it. I’ve discovered the world of blogging just one week ago, and I have so much to discover still; however, I get the impression that you need to be extremely brave to maintain your integrity – to be true to yourself and your opinion that readers value more than anything – especially in the face of advertorial pressures and relentless product placements. Al’s passion for the subject came out very strongly. Great lesson !!!!! Thank you. This was an amazing interview. I learned a ton of good tips today. Thanks for sharing this with us. great interview! i am now like in a middle of thinking what is best to my blog. i want the women talk to be the center of it and some touch about blogging. by women talks i mean, health, diseases, fashion, everything about women including relationship. can it be possible? I just had a look at the website. It looks professional and magazine-like. No wonder it can earn him $30,000 per month. I really want to listen to the podcast (can’t download it here at the office, have to do it later at home :)). I have read his car blog and it is rubbish. It is clear he knows nothing about cars and steals lines from other reviews. He makes money by writing what the sponsor car-maker wants him to write. His blog is more informercial than honest reviews. Nothing new there then! Excellent Article. i wish one day you will also take my article lol. 🙂 Thanks a lot for posting great article. i think your friend ( alborz ) was from iran. Great Interview! Certainly a lot of good tips and advice and an interesting story! Yaro, you too can do the same just to a different level, bring it up for listing in the stock exchange. GOOD LUCK !!! from Singapore’s fengshui expert. I want to create a cars blog and I came across this. Mr.Fallah is now my inspiration! I hope to create a successful car blog modeling on him! hmm.. 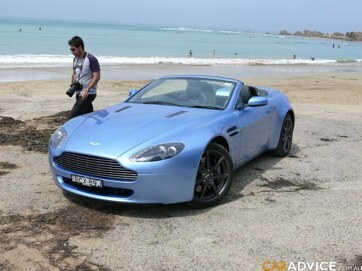 I hope to create a successful car blog modeling on him! great thank you! Thanks Yaro for this highly inspirational interview with your student. This is a must read for every blogger. Blogging is all about being committed, focused and providing unique and high quality(and helpful) information to the world ! Thanks Yaro Great interview. Inspirational. It’s encouraging to know that many have successfully managed to build such high-traffic sites. Yaro, I am surprised at the level of quality you pour out…I really never know this quality existed. Thanks bro….this is revolutionary. Inspiring interview to let do more with my blogging. I never doubt your wisdom Yaro and I believe with time, someone like me may be mentioned somewhere here. Thanks for this! I really gained a lot from it as it reflected my desire to write about what I love. I have joined up with your blog mastermind course and I am looking forward to getting started. I had a question for you. I know this isn’t the appropriate place to ask it, but I thought I would give it a try anyways as maybe other bloggers could also answer? Where does one draw the line between critiquing and defamation products? For example, I write about eco-lifestyle, health and eco-friendly products (). My day job involves developing sustainable types of bio-based materials so I do know which products in the marketplace are “green-washed”. However, I am afraid to write bad things about these products/companies in case of defamation? What is your advice on this? I thought I would ask you since you are the God of Blogging I noticed as well in your interview with the founder of caradvice.com.au the owner of the site says he is not afraid to say bad things about cars etc….so how is he allowed to do that? If you could get back to me whenever you have a chance, as I am sure you are super busy, I would be soo appreciative. I got your email with this question too, but I figure answering in a comment helps more people. The way I see it, and I’m not a lawyer remember, is that people all over the net criticise products and other people all day long – it’s just what we do. Most never get sued for defamation because the people they are criticising don’t bother. I believe there are some protections in the area of free speech too, but in the end, if you get sued it’s because you have become big enough to be worth suing. Most people just get asked to take down any content before it comes to any legal cases. I suggest you write what you really think about other products, just be careful you can back up your claims. If you’re not wrong, then you should be safe. Thanks Yaro for the interview you did, it was very interesting. Wow. The story of Alborz has really given me the motivation I needed to keep working on my blog. Those successful people keep inspiring us to continue writing more posts on our blogs. This is a very inspiring interview. Thank you so much for sharing. It always motivates me when hearing success stories like this one. I’ll surely give, everything I’ve learned from this interview, a try and apply it on my blog. An inspiring read right there. Keep it up and thanks for sharing.